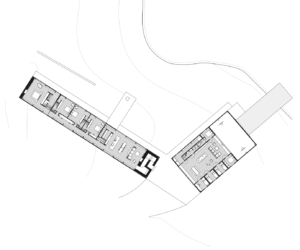 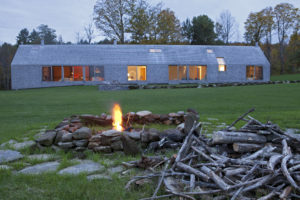 Cradled at the bottom of rolling green hills, the orientation of the house and barn is informed by the natural landscape and their reciprocal interaction. 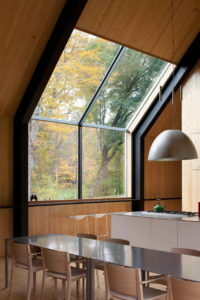 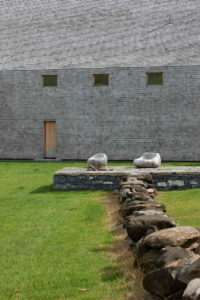 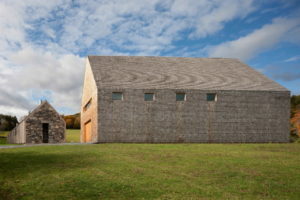 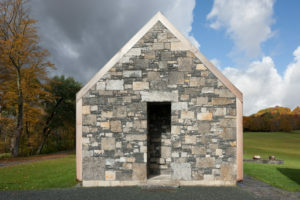 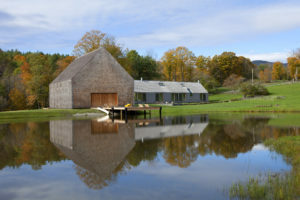 The simple gabled volumes use materials typical to the area—wood shingles in the barn and cut stone in the house. 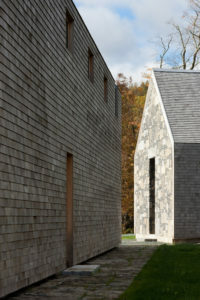 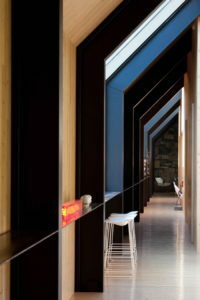 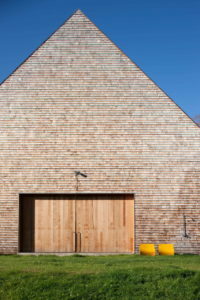 These materials combine with the clean lines and natural light to produce a subtle yet playful dappled effect on the buildings’ surfaces in an architecture that both contrasts and articulates the rural landscape that surrounds it.